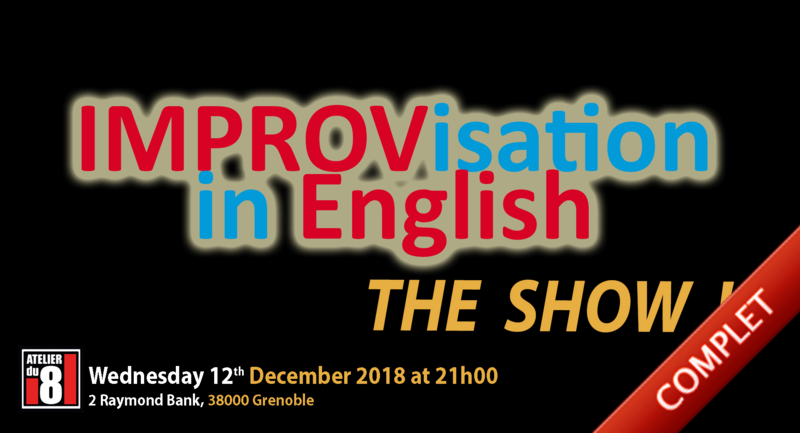 Grenoble IMPROV Show is our new English speaking show running in Grenoble. The shows is physical and action-packed: perfect for non-native English speakers too! Looking for a great night of fun and laughter? Would you just like to meet and hang out with other expats of Grenoble? Check out this English speaking IMPROV show. Our shortform show deliver a fast-paced, highly interactive experience with rich narrative and character development. The show features all your favourites categories. You the audience will invent the show title and suggest exotic locations. Expect fun and energetic shows! 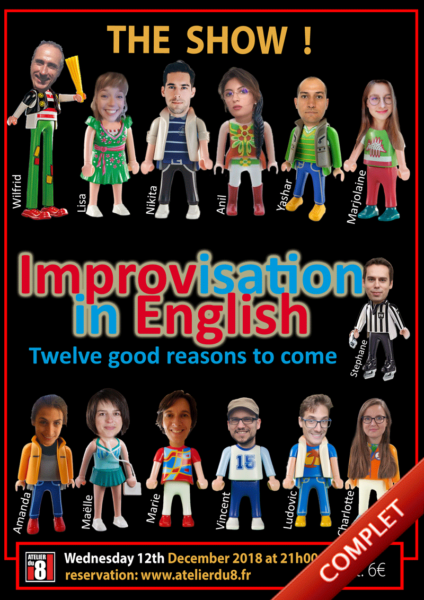 Expect smart improvisers to take the stage! Expect the unexpected! Wednesday-12th December at 21h01 !! !